Over the past eight years Williams Engineering Canada (WEC) has had the pleasure of providing building envelope services for the Qualex Group of Companies. 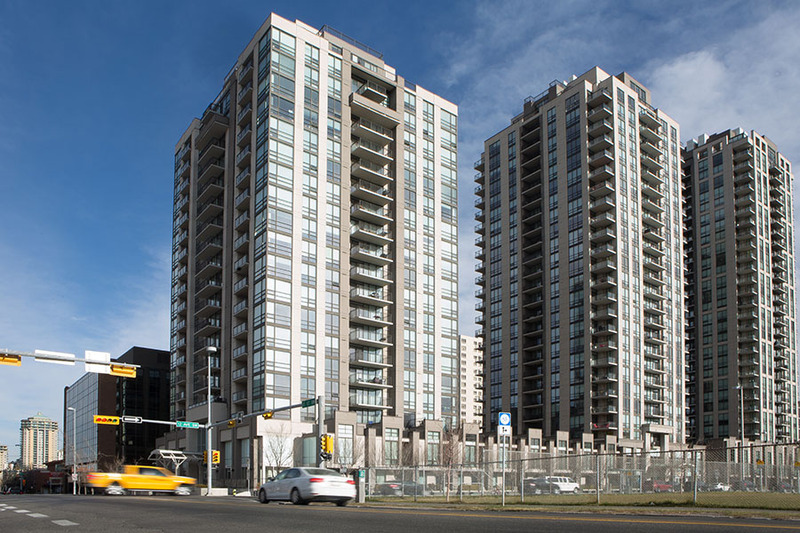 Recently WEC provided consulting engineering services from concept to completion for three high-rise tower developments located in Calgary, Alberta. These condominiums include Stella, Nova, and Luna Condominiums. Our services entailed the design review of the building envelope and roofing detail drawings that were provided by BKDI Architects at the 50% and 95% stages. The design review portion of this project included WEC providing written recommendations for possible detail improvements as well as design consultation. At the project meetings WEC addressed design elements and various building envelope construction items that required specific attention, monitoring, or sequencing. The final building envelope design consisted of a panelized exterior insulation finish system. This innovative design was the first of its kind to be used in Calgary. During the pre-construction review, WEC reviewed product data and material samples provided by the panel manufacturer in addition to thermal simulations, mock-ups, and testing. The design team worked closely together to identify energy efficiency measures and resolve existing building envelope issues as well as conduct quality control plant inspections of the window and panel manufacturing facilities. During construction, WEC focused its review on the roofing system, parapets, construction joints, detailing of the air barrier, tie-ins between various building envelope components, and contractor workmanship. WEC also consulted with both the contractor and the sub-contractor regarding the construction process and provided comments and recommendations based on the site mock-up reviews. Commissioning of the building envelope was conducted through on-site inspections and testing.